You guys have to go check out the August edition of Stash Match over at Ali's Blog, a.squared.w. Every month she picks an inspiration fabric and then she finds 6 different bloggers to create a fabric bundle off of the chosen fabric. My bundle contains a variety of colors both bright and dark. And for those of you who know me .... it also has a print from one of my most favorite designers! Good luck! Make sure you go check out the other hints and enter to win a beautiful AMH fat eighth bundle. Well the time has come and Google Reader will be shutting down tomorrow. Make sure you take some time today to transfer all of your google reader info over to another reader! I have heard that feedly and bloglovin' are the two most popular readers at the moment. I personally use bloglovin' and I really like it. If you need some help getting started, Diane @ from blank pages, wrote a great post walking you through the process. So, go take a few minutes and find a new reader! I would hate for you all to lose track of all of the amazing blogs that you follow! 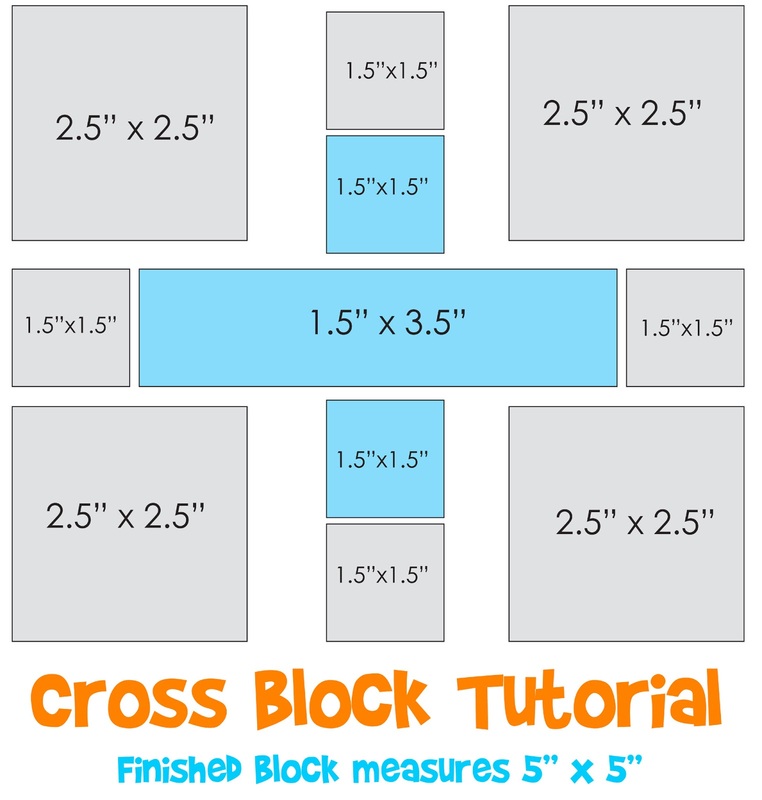 I have been loving all of the cross block projects that have been floating around flickr. Rachel made a gorgeous quilt with this block but in a larger size which you can see here. I believe the original inspiration came from Ashley's (Film in Fridge) Marcelle Pluses quilt, and Alexia Abegg's book, Liberty Love. I had a hard time finding a tutorial on how to make them so I thought I would put one together for you guys! This tutorial is for a 5" finished block. I was able to make a 20" pillow cover with 16 blocks and I loved how it turned out. Here's how I put mine together! I started by sewing a 1.5"x1.5" background square to the 1.5"x1.5" main fabric which made the top of the cross. And then did the same for the bottom of the cross. Then I sewed the 1.5"x1.5" background squares to the 1.5"x3.5" strip. When you are finished with that, you will have something like what is pictured below. Then, I sewed the rows together. I started with the 2.5" background square and sewed it to the top of the cross and then to the other 2.5" square. Then, I did the same for the bottom row. When that is done, your block will look like what is pictured below. All you need to do now is sew your rows together and you will have a finished block! I made 16 of these blocks to make a 20" pillow cover. And then finish however you like. 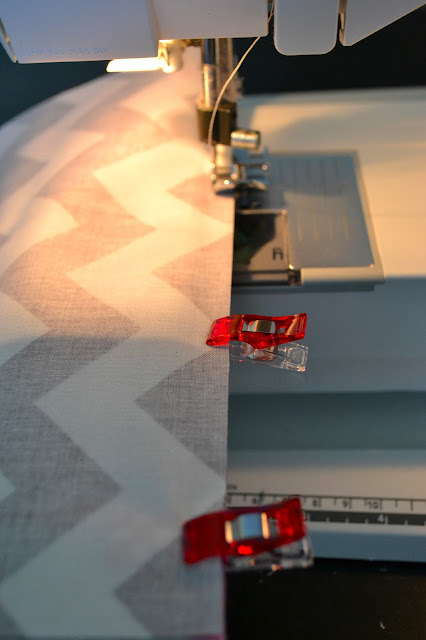 Here is a great tutorial for an invisible zipper. 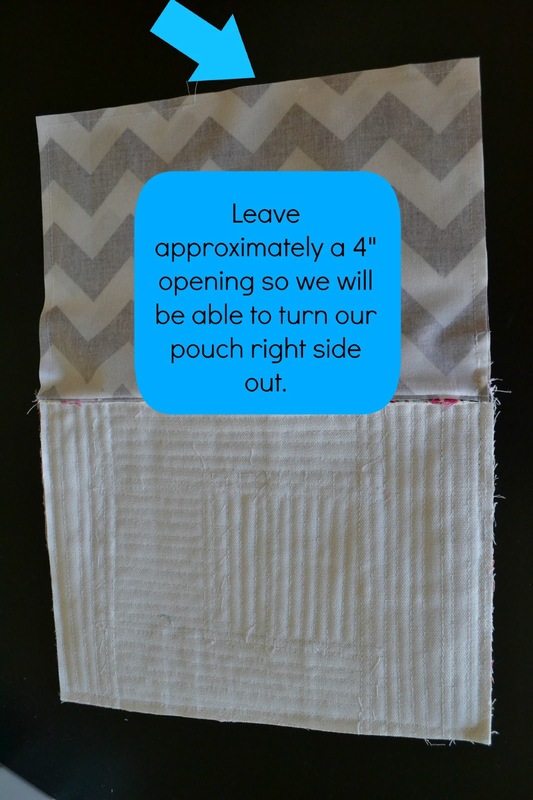 Katy of i'm a ginger monkey also did a great 5 part series on how to finish a pillow. You can check it out here. 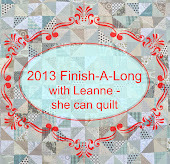 I have been debating over the past few days about which mini I wanted to enter into Ellison Lane Quilts Modern Mini Quilt Challenge. I decided to go with the mini that I made for Tiffany in the Modern She Made Swap. I have seen this pattern around but I ended up drawing my own foundation paper piecing pattern to use. The mini measures 24"x24". If you haven't checked out the other entries you should really take some time to do that. There are some gorgeous projects over there! Another round of the Pillow Talk Swap was recently wrapped up, and it was a successful swap for me! I am trying to limit my swapping this year but I couldn't resist the Pillow Talk Swap, it really is one of my favorite swaps of all time! I think my partner appreciated it, and she mentioned her husband even like it. That would be a huge success in my home, that's for sure! I think my husband believes our house is going to be overrun with handmade goods. I'm not quite sure why that's a negative thing. Anyway ... the pillow I received was perfect for my home! Gina made the most perfect hexagon, low volume pillow that goes wonderfully with our bed. She even incorporated text prints which are my favorite. And one of them even has the word "Texas" on it which is where we live. It was very obvious that a lot of time and thought went into making this. I really do appreciate everything she did to make this pillow special for me! She also sent a cute little pouch and some tim tams. I was really spoiled! So another swap is now done .... I have one more swap that is still in the works. I signed up for the Fabric Basket Swap because it was a small project and I didn't have any fabric baskets around the house. So when my basic arrives I will definitely share it with you guys! 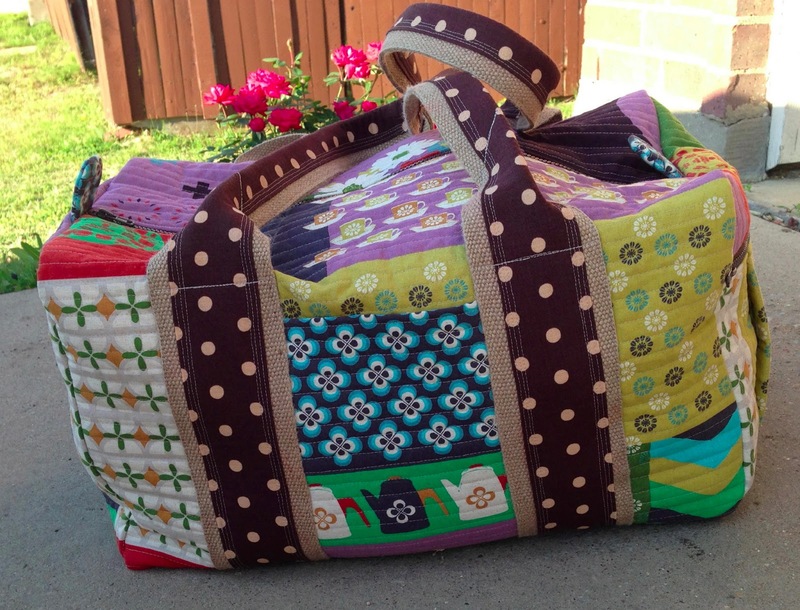 Have you guys seen the Simplicity Duffel Bags that have been popping up around the quilting community? There are so many amazing bags out there, and I needed one for our trip that we took to San Antonio. I love the idea of traveling handmade and that was my goal for the trip! So I picked up the pattern and found some great fabrics and got to work. I did the pattern pretty much as described except I added a lining. I also quilted it differently and added some reinforcement to the pull tabs by the zipper, but that's about it. Let me tell you, this bag is huge! It's definitely big enough to hold anything you could ever need for a weekend getaway. 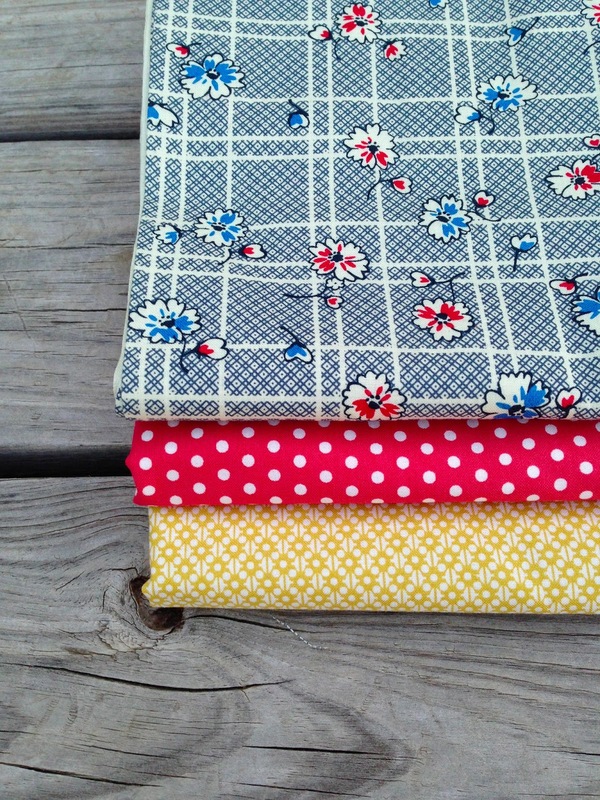 I opted for a Melody Miller print, I wanted fabric that was a little more sturdy than quilting cotton. That typewriter is one of my favorite parts of this print! My mom said she typed on a typewriter just like this when she was younger. So there you have it! If you have ever thought about tackling the Weekender Bag by Amy Butler, I would start out trying this bag first! This would be a great way to get into bag making! At last month's McKinney MQG meeting I mentioned that I would be making something handmade for a prize at the June meeting. At that point I had no idea what I would be making but I managed to whip something up. 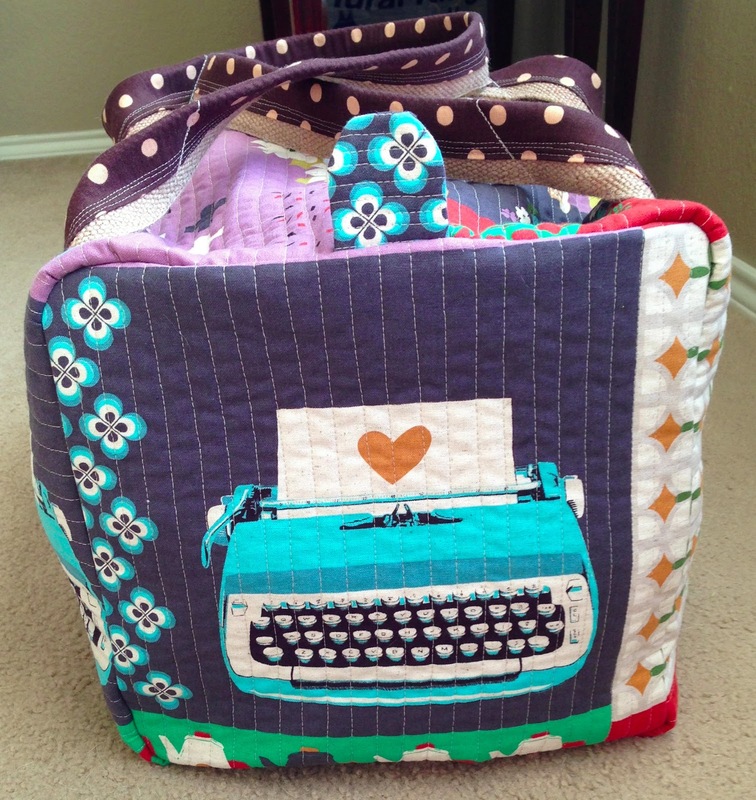 I have been watching the Scrappy Trip Along Quilts pop up over the blogging world over the past several months. I was not able to participate at that time due to being overwhelmed with other projects, but I have been thinking and dreaming about making a scrappy quilt. So I decided to give the scrappy trip block a try with the hopes of incorporating it in the handmade prize I needed to make. As I was working on the pillow cover I was not liking how it started out. There were so many colors that didn't necessarily work well together. In fact I about chucked the project right in the middle of making it, which is sooooo not like me! But I plugged away and kept working just praying that it would turn out half way decent at the end. And I have to say now that it's finished I really really like it! 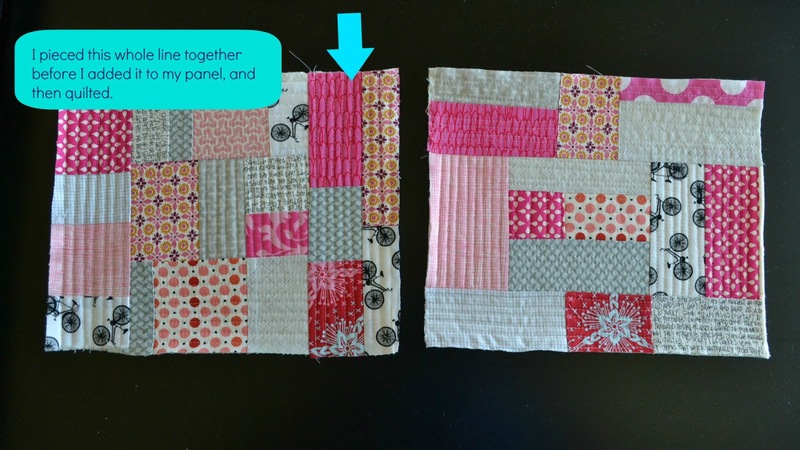 The blocks were so easy to make, I can see how a quilt made with this method could be put together so quickly! You can find the block tutorial here, it's by the fabulous Bonnie Hunter. So basically, after I finished this pillow, I was in love with the process of making this block. I have realized that it's been a while since I have worked on a quilt, so I have made it my mission to work on three quilts over my summer break. As you can easily guess, the scrappy trip quilt will be one of the three! I will fill you in on the other two soon. Hopefully whoever wins this pillow cover will love it as much as I have grown to love it!